I'm pretty sure I didn't coin the phrase, 'Me Time' so no doubt you already know what I mean. I've always been one to enjoy my own company and I am often bewildered by the responses of my friends and family when I tell them I like to do things alone. Typically 'pair' activities such as going to the movies, or out for dinner I don't actually mind doing alone because I'm not scared of being by myself surrounded by other people and I even sometimes find it very therapeutic. Of course, that's not to say I don't enjoy the company of people either, I love being around people and entertaining them, making others laugh and all that jazz but it's nice to come back home to you, your inner sanctuary of peace and comfort. For me, it's my personality type that allows me to have this craving for 'Me Time' and I know myself well enough to indulge in that need whenever I feel particularly stressed or overwhelmed. I myself have friends who have no inner 'compass' when it comes to chill time and some who are constantly in need of company and that's just their personality type. 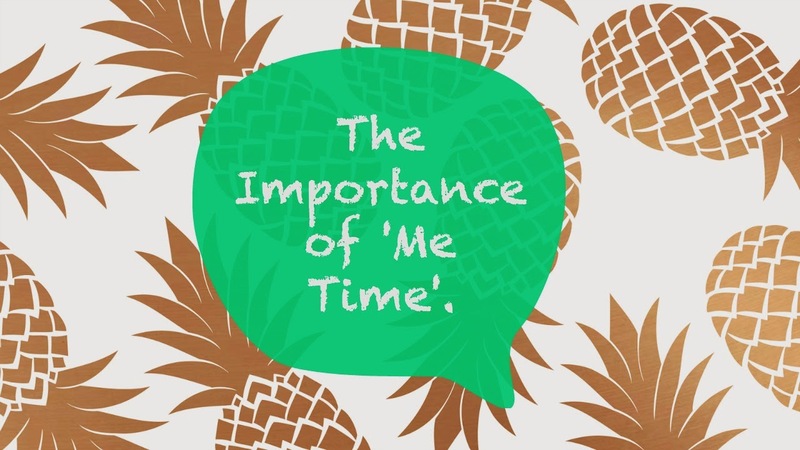 I think 'Me Time' is so important to a persons overall development of character and self worth and I encourage you to step up and take that time out to get to know yourself a little better. I sometimes like to think about it as a date of sorts. Who am I looking good for? Myself. Learn a new skill and make that Paella recipe you've been dying to try. Popcorn for one? Yes please. Added bonus, no sharing! Boo- yah! Yes I would like the Soup of The Day- and the Pizza. Oh while you're there get me a Vodka Soda. Take yourself out to a local cafe and order your favourite drink. In between chapters, people watch. The list is literally endless! Let's be frank here, (see what I did there) I'm not saying that it will be easy. You're more than likely to get weird stares here and there but that's all down to your self esteem and a bit of courage. Believe me, you've never seen pity until you've walked into an apparent couples session at the cinema on a Saturday night and every couple in the room is whispering about why you are in a movie alone. Been there, done that and you know what- it's actually not so scary. Sure that night I had plenty of friends who I could've gone to the movies with but I wanted to go alone, I like my own company and to be honest when the lights go down in the cinema and the movie starts, it's not like you're talking to whoever you're with anyway! Being alone isn't synonymous with being lonely. You could be in a room full of crowded people and feel totally out of place and lonely or you could be in a room all alone and be content with your own company, it's all about perspective and where you feel comfortable. I hope you're liking my new series here on the blog, if you want to catch up on any past Let's Be Frank posts make sure you do here. As always, I would love to hear your feedback and thoughts and whether you're a regular with 'Me Time' or just starting out! Off to the Genius Bar we go! Have a fabulous week my loves! I love the concept of 'me time' and even more so, your idea of making it that little bit more special and even taking that time outdoors! I've been to the cinema on my own and massively enjoyed it - I was able to people watch like crazy before the film started, enjoy my own giant iced drink with nobody trying to try it next to me and then leave as soon as I wanted haha ;) Great post, Anjelique! Haha yes! You get me! It's actually so fun to go by yourself! Hope you're having a great weekend Gabrielle! Thanks so much Brooke! Ooh, some great ideas there- I'll have to take note! Hope you're having a fab weekend! That's what I did this weekend! I just unplugged and did things that I wanted to do. I've been single for awhile. Although I wouldn't go to an evening cinema show, hahaha...I do go to matinee's by myself. I'm so use to that now. I wish I had somebody, but I don't. But I enjoy doing things myself. It's nice. I promise the first evening show you go too will be daunting but after that, it's easy breezy! Completely agree that being alone doesn't mean lonely. I've done all the above except going to the movies alone. It's not the fear of awkward stares that kept me away but I've always enjoyed movies with a group of friends. This is a great series, Anjelique and I'm going to catch up on the rest of it. Thanks so much Shireen! Yes, I can understand that! I love this post Angelique! 'Me Time' is so important. I enjoy going to the movies and taking myself out to early dinners. Its nice to go during non-peak times so you can have the whole theater or restaurant practically to yourself. Sorry to hear about your computer! I hope they can recover your files! Thanks so much Amy! It's definitely nice in non-peak times too! I'm hoping to have it back soon- my hard drive has gone to the graveyard! Very true. I often like to go to bed early with a book. Just being by yourself can be therapeutic. Ooh, yes! Curling up with a good book is the best!